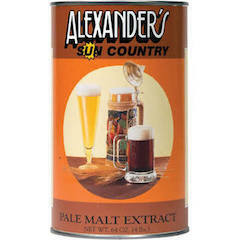 From the U.S.A., Alexanders is made with 100% American malted barley. This malt is the basis for many beer recipes that have won or placed highly in beer competitions. Wheat Extract contains 60% malted wheat + 40% malted barley.